How do you find out about a new region or new wine? Is it because of pictures on an instagram account that you pick up a new bottle? Is it because of an article in a publication or a chat with a fellow wine professional? Where does that initial thought come from? When we taste wines from a new region the hope is to taste wines that are entirely different, as if they could not have come from anywhere else. 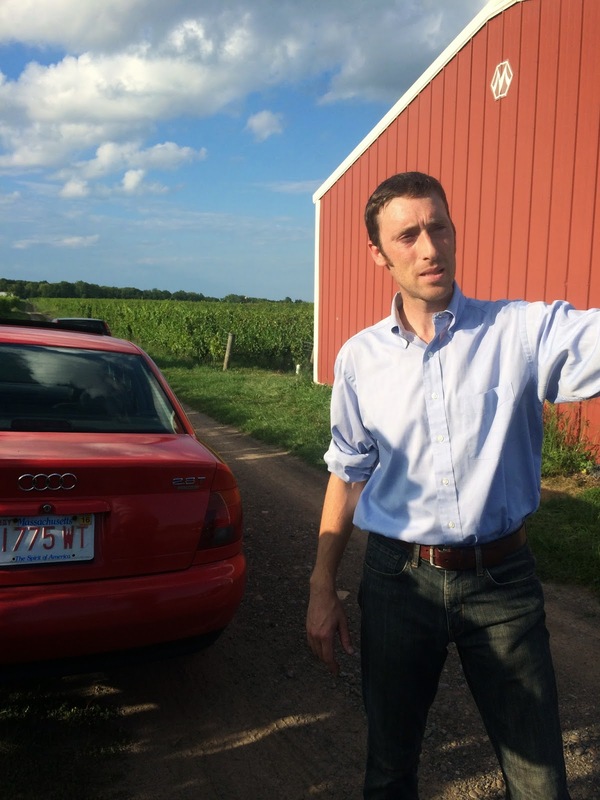 To taste that specificity of flavor and site that make the magical term terroir make sense. Below are some worthwhile producers to know from the Finger Lakes and most are distributed in Illinois whether you know it or not. Hermann J. Wiemer is regarded as one of the pioneers of viticulture and winemaking in the Finger Lakes. Originally from the Mosel Valley, Hermann saw similarities in the cool climate and gravelly soils of the Finger Lakes. 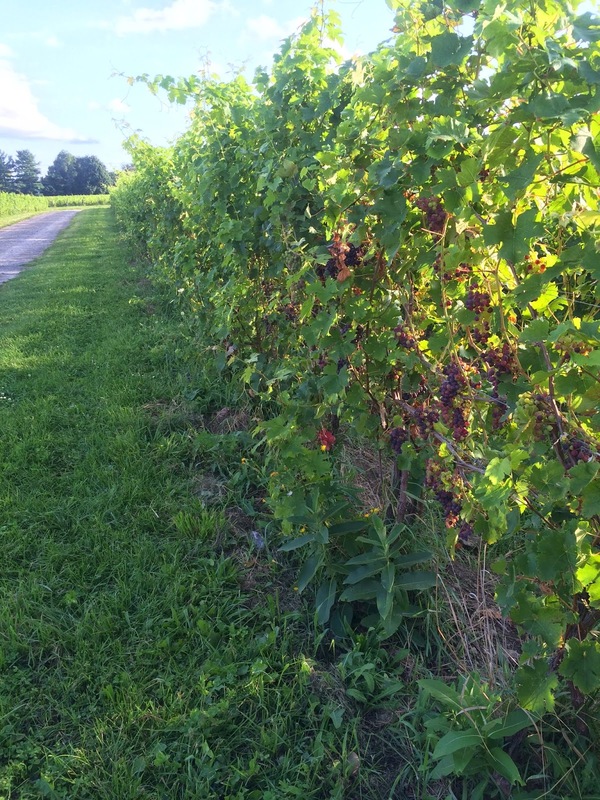 He believed that it was possible to grow Vitis Vinifera in the Finger Lakes and purchased 80 acres of land. During the early years of the vineyards he continually experimented to find the best clones for the region. In 2004, Hermann’s apprentice Fred Merwarth took charge of winemaking and vineyard management and, in 2007, Hermann retired handing the winery over to Fred and Oskar Bynke, the business and estate manager. They focus on low intervention winemaking using native yeasts to promote site specifity. The winery produces approximately 14,000 cases a year from three different vineyards. Magdalena Vineyard was planted in 1999 on varying soil types from Honeoye silt loam to eroded hillside gravel. The blocks of the vineyard were planted to the changing soil types. It is one of the warmest sites in the Finger Lakes. Josef Vineyard is very similar to the Magdalena, but it is on more of a slope which allows the grapes to ripen to levels where Fred and Oskar can make late Harvest and TBA style wines. The Riesling vines here are as old as 30 years. HJW Vineyard is on the winery and was planted in 1976. The soil here is very different with thin gravelly topsoil and is considerably cooler than the other sites and shows more minerality and acid structure than the other wines. Notes: Check out all the wines from sparkling to sticky sweet. Weimer stands as a beacon of quality winemaking in this region. Ann and John Martini planted their first grapes, all hybrids, in 1973. However, as time has passed, only Vignoles remains as a hybrid varietal. The rest has been ripped up and replanted with Vinifera varietals, including Pinot Noir, Pinot Gris, Chardonnay, Riesling, Cabernet Franc and Lemburger. 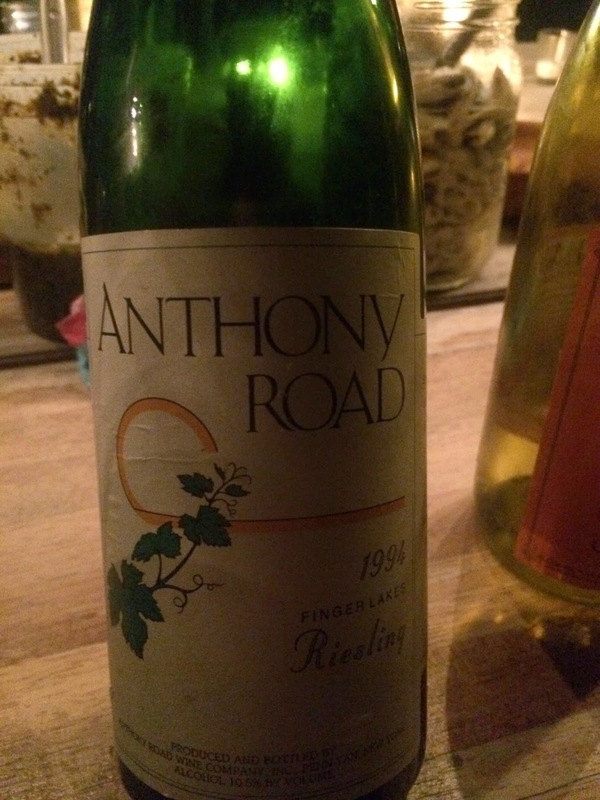 Johannes Reinhardt joined Anthony Road in 2000 and has guided their philosophy since then. He has a very hands off approach in the vineyard, focusing on respecting nature and working with it using minimum manipulation. Johannes began to craft serious late harvest and TBA wines, which brought acclaim to Anthony Road. Still, from tasting early vintages in his time there you can see his equal finesse with dry wines. In 2013, Johannes started Kemmeter, just across the street from Anthony Road. 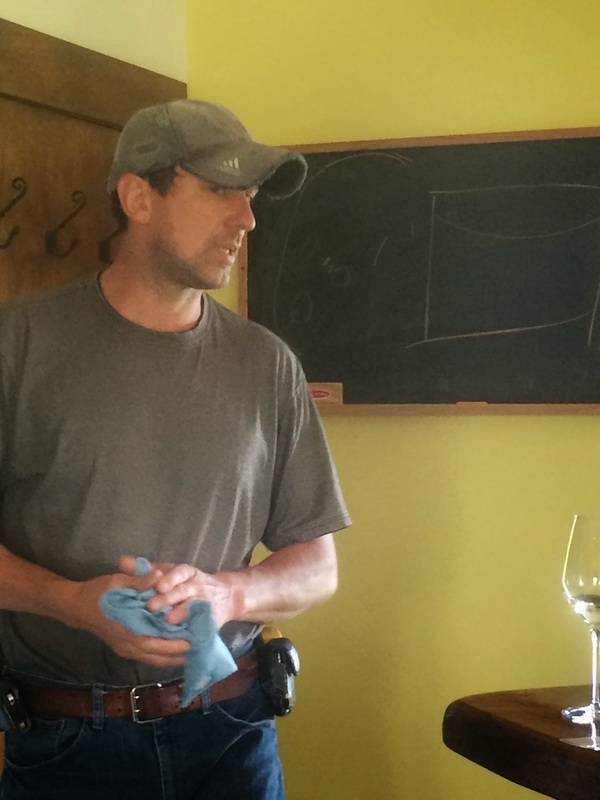 Here he has total control to make the wines as he likes and to plant Riesling in the way that from his years of experience at Anthony Road he believes will make it most successful. Notes: Although I didn’t taste at Anthony Road, I was fortunate to taste some older vintages with Christopher Bates that were not only well made, but showed how well wines from the Finger Lakes can age. We did visit Kemmeter, which was pretty amazing as we got to walk through and talk about how he is planting a vineyard from its infancy. 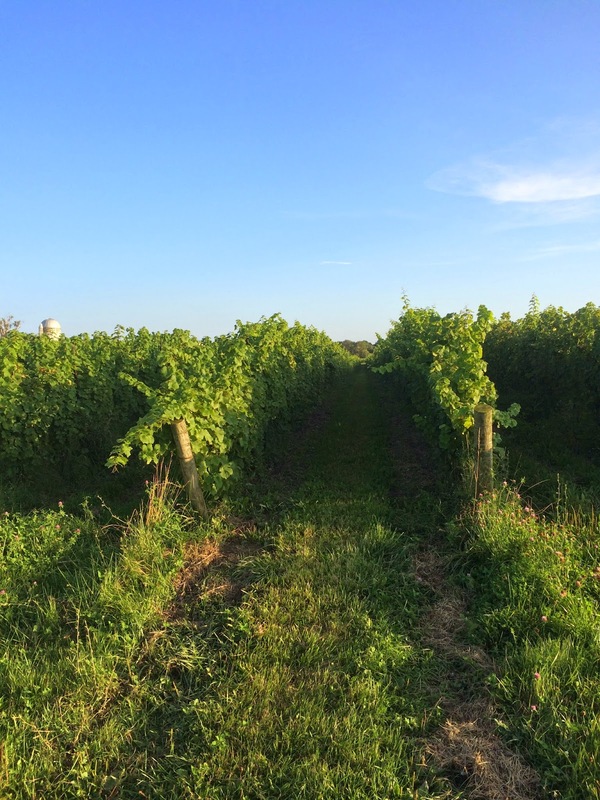 The first Riesling grapes were planted in 1984 on the old dairy farm that is now Fox Run. In 1993, the barn was converted into a winemaking facility, and in 1996, they were able to open a state of the art winery. 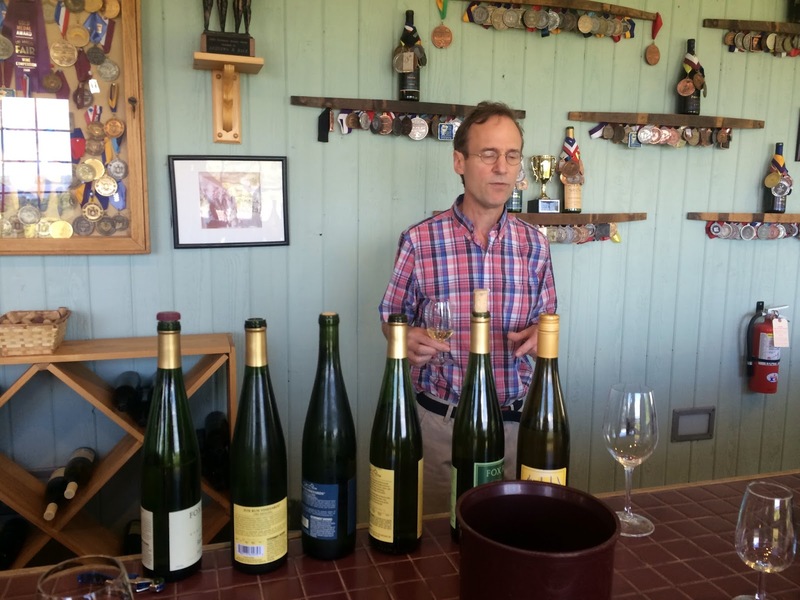 Peter Bell, the winemaker, focuses on minimal intervention producing not only Riesling, but Chardonnay, Lemburger, Pinot Noir, a Meritage, Port style wines, and sparkling wines. 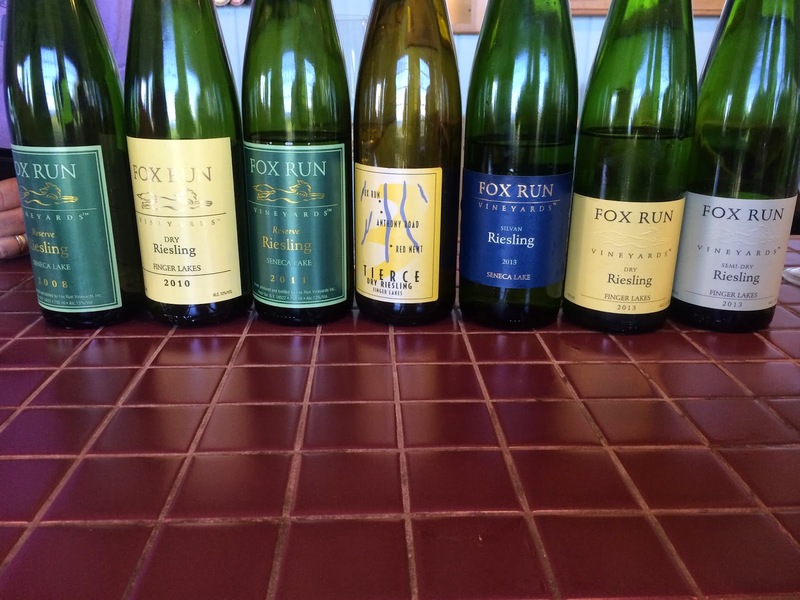 Fox Run has 50 acres of grapes, 19 of which are Riesling. All blocks are picked and vinified separately. Each wine is built and winemaking choices are made block by block. Notes: Fox Run is a restaurant and a huge huge tourism draw. They literally can’t make the wine fast enough. That being said, they have held back a fair amount of wine and some of the older vintages show depth that I fear due to their popularity will be harder and harder to find. If you can find them, get them! Red Tail Ridge is a 35 acre vineyard and winery named after the two nesting pair of hawks who live in the woods surrounding the vineyard. 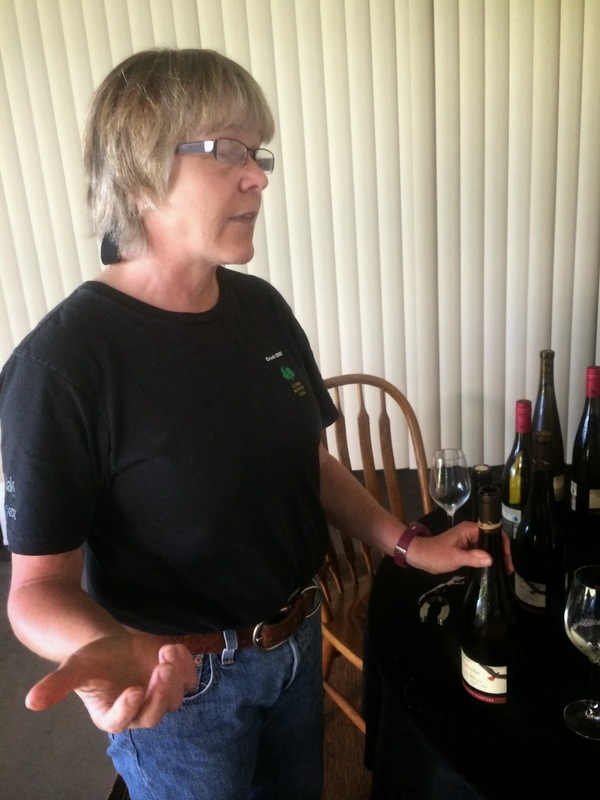 Run by husband, Mike Schnelle, and wife, Nancy Irelan, Red Tail Ridge focuses on small production high quality winemaking. 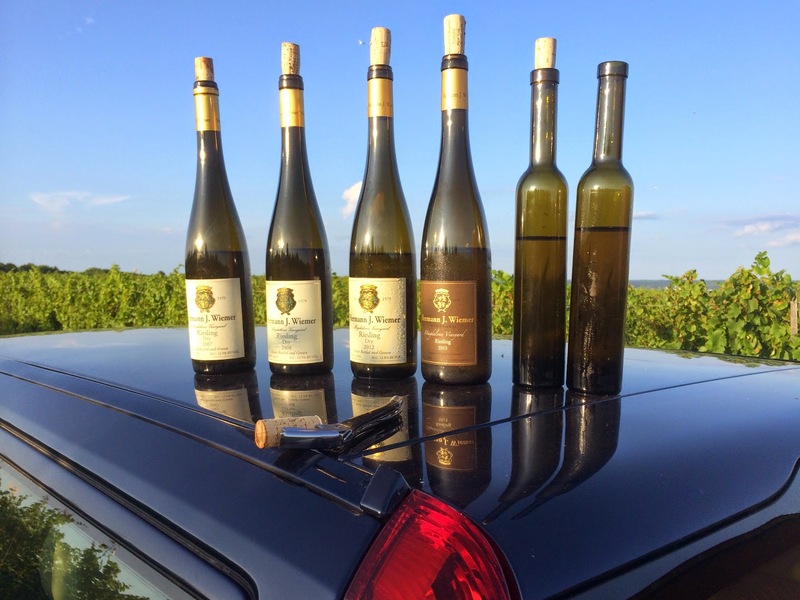 Experimentation is important to their wineries growth as well as the growth of the region working with Pinot Noir, Chardonnay, Riseling, Teroldgeo, Blaufranksich, Dornfelder and Lagrein. Nancy arrived in the Finger Lakes leaving her position as Vice President of Viticulture and Enology R&D at a large corporate California winery (Gallo) to start a new life with her husband. She is a scientist who likes to experiment making not only varietals with proven success like Riesling and Pinot Noir, but method traditional Teroldego, Pet Nat Riesling. 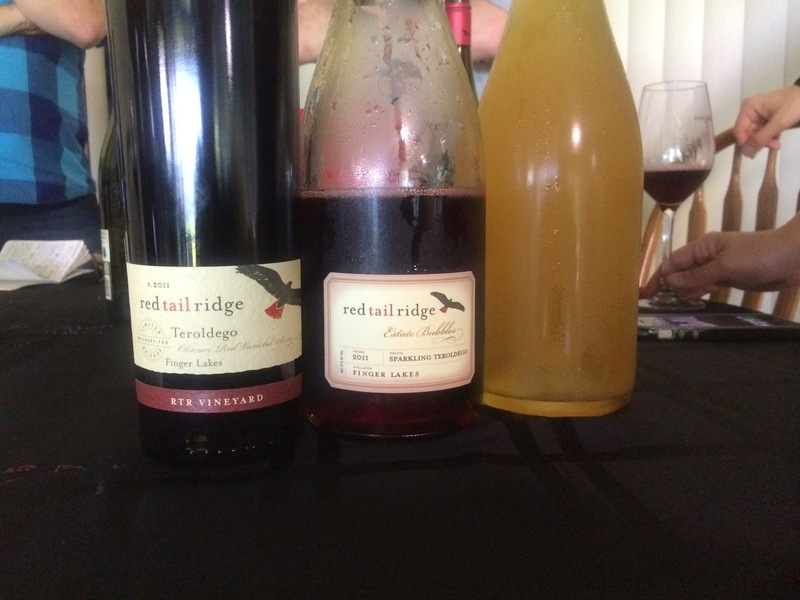 Where others look at Germany and Alsace as regions to emulate, Red Tail Ridge seems to be more excited by cool climate red varietals from Trentino and Austria. Notes: From the outside this winery looks highly polished and there is a nod to the beauty and modernity of Napa, but inside the energy for new and the push to experiment is overwhelming. When tasting with Nancy her excitement over her first vintage of Pet Nat Riesling was equal to that of any of her Rieslings. She sees a bigger picture for the region. Later this week we will highlight producers from the east side of Seneca Lake and the rest of the Finger Lakes.